ASTM D737, ASTM D3574, AFNORG07-111, BS5636,DIN53,887,EDANA140.1, EN IS07,231, ENISO9,237, JIS L1, 096-A, TAPPI T251 and so on. S Model: Manual replace orifice plate. 1. More excellent anti-jamming, more excellent stability, more rapid data transference speed. 2. Adopt microcomputer control system, branded high accuracy pressure sensor, digital feedback and adjust air volume. 3. Automatic follow, measure and display pressure difference of each point with high stability and repeatability. 6. All Orifice plate have been calibrated by-point in full testing range to let test data more accuracy. 7. Automatic sample clamp, automatic replacement of the plate, fast test. 8. 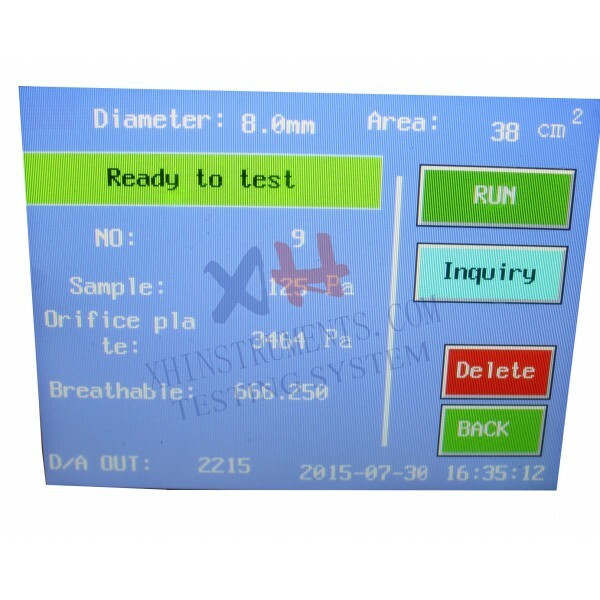 All test data is displayed by large high-definition color touch screen displayer, no need to calculate test result by hands. 9. Automatic converse air permeability rate and air permeability volume to improve test efficiency. 10. Large touch screen displayer, and menu type operating mode. 11. Equipped with inner printer. 12. Adopt micro-computer control, insure the test data accuracy and test data can be saved and processed automatically. 13. 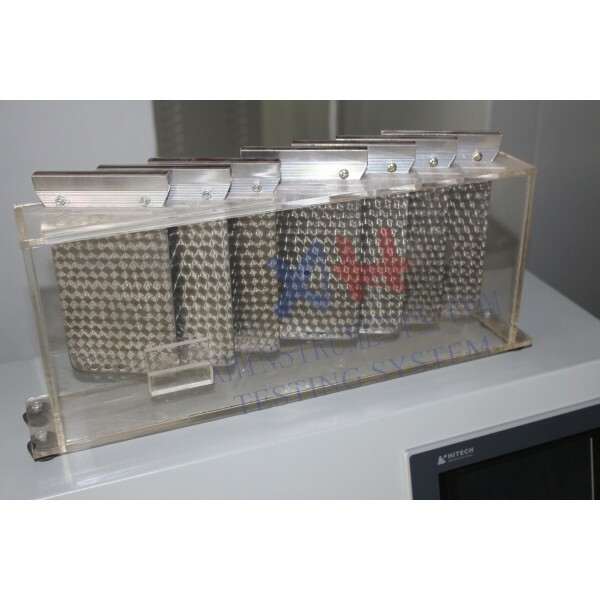 Special designed sample holder accomplish test in box and ensure the yarn without slip. 14. Equipped with the inner printer, test report can be printed anywhere. 15. Testing procedure can be set conveniently by the inner control panel. 10. The result can be printed . Copyright © 2010- Jinan XingHua Instruments Co.,Ltd All Rights Reserved.